Superwelter Michel Soro (27-1-1) returns after over a year out and take on Argentinian Hector David "El Tigre" Saldivia (45-3) July 30 in Cannet Cote-d'Azur (France) for the vacant WBA International title. 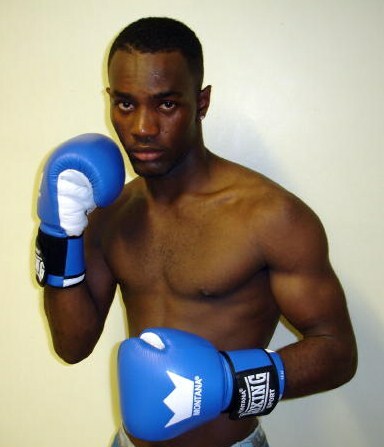 Soro was EBU middleweight champ at the beginning of the year but relinquished the title. On the undercard on this Unievent Production show former World cruiser title challenger Youri Kalemba is featured and tough superwelter veteran Franck Harroche Horta comes back after a short lived retirement. When Erkan Teper came back this past Sunday he was still listed by both boxrec, Fight Fax and EBU as still suspended (after the positive dopingtest last year after knocking out David Price) but fact of the matter is that Teper, his promoter Z! and the German Federation, the BDB, came to an agreement before July 3 that ended the suspension (not with the EBU though). According to boxen!.com – quoting BDB President Thomas Puetz – Teper had to pay a hefty fine, and must be subject to random testing at all time – all paid for by Z!. It is also made clear that this is Teper's last chance – another positive test and he face indefinite suspension. Promoter Gerard Teysseron presents three title fights October 20 in Calais. Topping the bill is superfeather Romain Jacob (24-1) who take on veteran Rudy Encarnacion (37-25-4) with the vacant WBA Continental title at stake. Jacob appeared to be headed for a World title shot last year when he was stopped by Juli Giner and is now looking to get back into the picture. In other action Kamal Mohamed (19-3) defends the national superwelter title against Joffrey Jacob (13-0-1) and heavyweight Cyril Leonet (10-8-2) do the same against Raphael Tronche (7-0).